Choose your favorite projects at crafting corner. 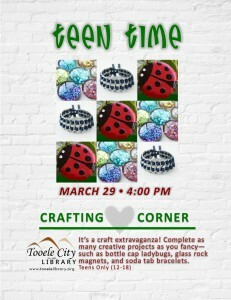 Come for an hour or two and complete as many crafts as you fancy. A few crafts to look forward to: bottle cap ladybugs, glass rock magnets, and soda tab bracelets.